Cwmtillery Colliery Feeder – Cwmtillery Lake. 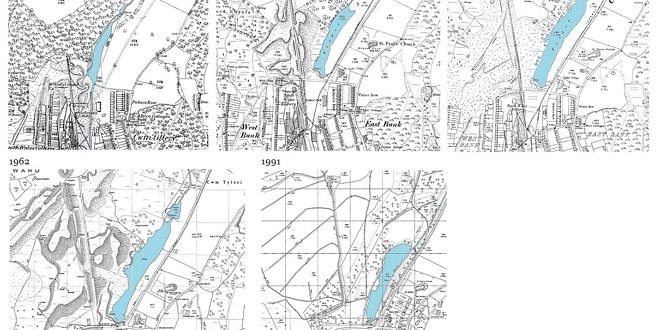 The Cwmtillery Lake was man-made as a colliery feeder and constructed by one of the Cwmtillery Colliery owners, more than probably Mr Thomas Brown or Mr John Russell. Over the years the feeder has changed shape and size owing to the fact that the colliery and level waste tips that built up around the feeder slipped and transformed the landscape around it. At one point the waste slipped and nearly cut the feeder in two. 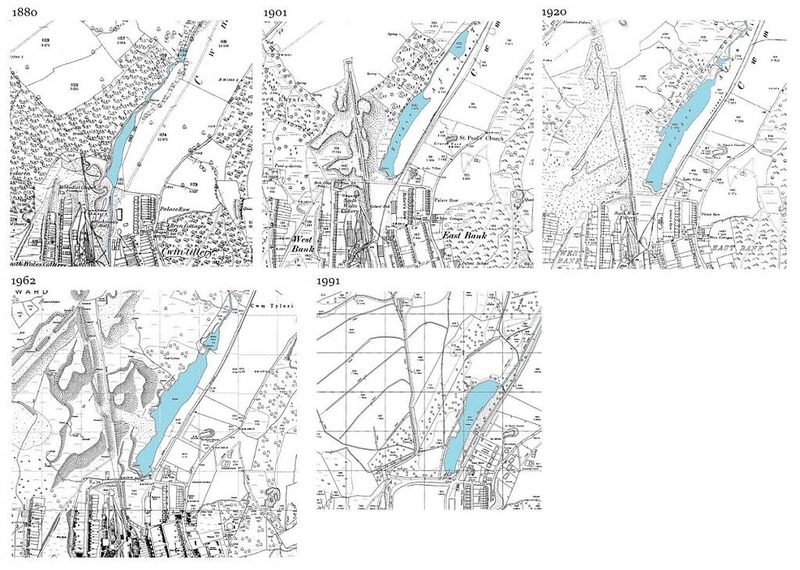 The featured maps show how this transformation affected the feeder through the years – 1880, 1901, 1920, 1962 and 1991. In the 1950’s and 60’s the area around the feeder looked like something from a science fiction film, a black dirty, slurry filled and barren wasteland. After the closure of the colliery the area was landscaped and the feeder lake was cleaned up and area around it became a picnic site.